Have you ever wondered what would happen if the chaps behind Transformers ever turned their minds to creating a campervan? This T5 Doubleback could well have been the result. On the road, the Volkswagen-based van looks like any other T5 model, save for a set of chunky alloy wheels.> But when you park it up, a remarkable transformation takes place. 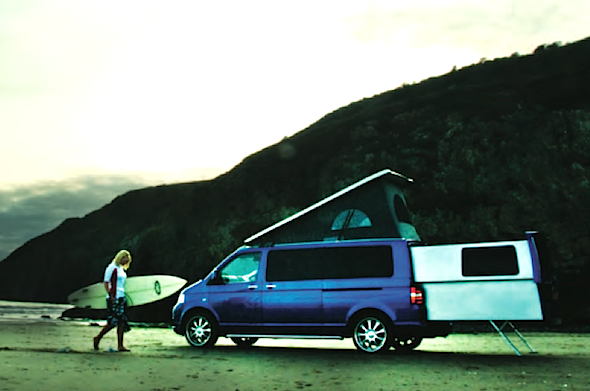 At the touch of button, the back of the van slides out and extends to allow more room inside. 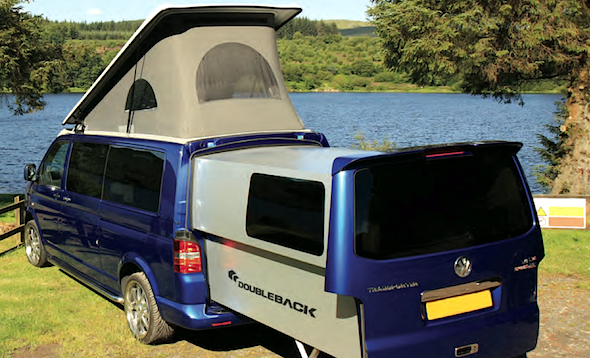 Fully extended, the Doubleback becomes a 26ft long portable home on wheels, with space for up to four people to meet, eat and sleep. 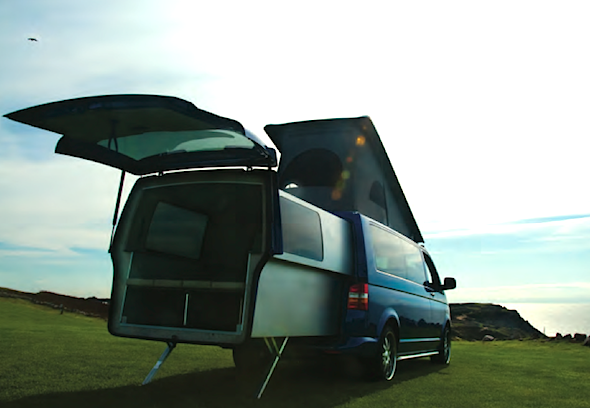 The creators use lightweight aluminium composite to build the fully insulated rear extension, which can support 600kg when the self-levelling corner steadies are in place. Aside from the space-age rear compartment, the rest of the van is what you would expect from a modern camper, with seating, storage space and even a basic kitchen. The bog standard 2013 T5 Doubleback costs £54,000, but if you want to dip into the options list you could come away with costly extras like a flatscreen TV and a DVD player that see the price tag rocket to around £75,000. It's certainly a far cry from the rickety old camper vans of the Swinging Sixties.